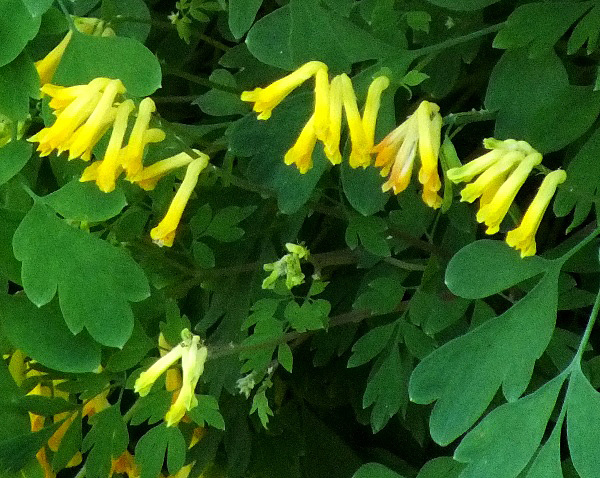 The yellowish-green leaves of Yellow Corydalis are much-divided, rather like those of many of the umbellifers. Plants grown to typically 30cm. The yellow trumpet-shaped flowers, 12 to 30cm in length, are usually borne in small dense racemes of 5 to 15. This is a plant of light soils, and it is frequently to be seen growing in walls and other rocky places, either shaded or exposed to only limited sunshine. 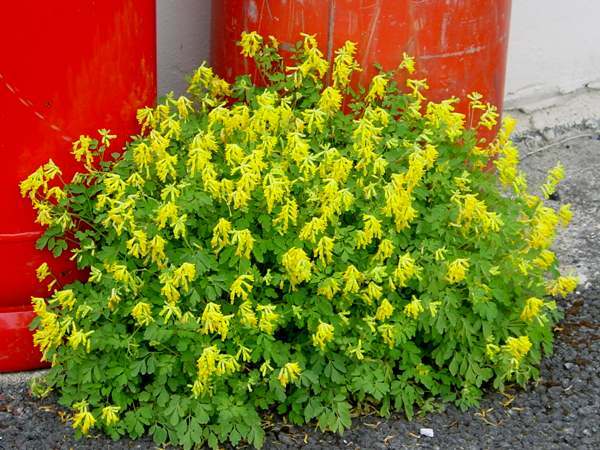 Originating from the Alps of southern Europe, Yellow Corydalis has become widely naturalised, having escaped from gardens, and is now throughout Britain except in the far north. This plant is also occasionally seen in Ireland. The first flowers appear in May, and blooming usually continues through until October. The flowers are usually at their best during June and July. The plants shown on this page were found in West Wales.